Owners of the 1999 to 2007 Ford Focus model cars have encountered various Ford ignition key problems in Chicago. These models are equipped with ignitions installed straight from the factory but they prove to be more faulty in terms of repair and maintenance. The worst part is that Ford has refused to recall these models, and these cars are still available in the market, therefore more and more drivers are unwittingly being subjected to the aforementioned ignition key malfunctions in Chicago. To get a sense of what type of problems are being encountered with the Ford ignition key, you need to know that the tumblers or wafers plus the poorly designed pot metal causes burrs or metal shavings from the ignition key when inserted into the ignition chamber. Over time, the repeated use of the key creates shavings of tiny metal which then clog the ignition chamber. This is where the Ford ignition key problems come from. What are the Known Ford Ignition Key Problems? 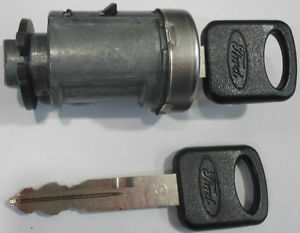 Some of the most frequent signs of this malfunction include difficulty when turning the key in the ignition, seeing a gooey substance or dirt when the key is inserted or removed from the ignition, sticking of the ignition, locking of the key into the “Accessory” or “On” position, difficulty removing the key from the ignition, or the key getting stuck in the ignition. Some people try to solve the aforementioned Ford ignition key problems themselves. For instance, some drivers will use a hard object like a mallet to hit the key and consequently release it. Others use WD40 in order to fix the problem. These methods should never be followed as they can cause more damage than good. For example, hitting the key with a hard object would only release more burrs thereby further clogging the ignition. On the other hand, using WD40 could make the burrs clump or stack together forming a stronger clog inside the ignition chamber. These actions are not recommended by auto locksmiths. How Should this Problem be Solved? In order to be assured of reliable troubleshooting, it is best to hire the service of an expert or licensed auto locksmith like the people from Keyway Lock and Security. Their licensed technicians know everything about locks and most importantly, the issues concerning Ford ignition key problems. The owner Steve Gwin has said, that 20% of his business is mostly dealing with the Ford ignition key problems. You can be sure that your problems will be fixed. Your costs associated are typically a lot lower than going to a dealer. Your wait time is minimized versus waiting at a dealership. Overall, when working with a licensed Chicago auto locksmith you can be sure that this problem will not re-occur. So if you have an ignition problem with your Ford or any other vehicle’s ignition switch, be sure to use a licensed auto locksmith so you can get the problem fixed at a minimal price, and you can get on with enjoying your car. When it comes to safety and security, Keyway Lock and Security is the best automotive locksmith in Chicago for all your car lock related needs.